Rage 2, the upcoming second entry in the series in development by id Software and Avalanche Studios, is apparently going to be released without mod support. Speaking at QuakeCon with PC Gamer, id Software’s Tim Willits confirmed that Rage 2 will not support modding at launch. He also stated, however, that id Software is big into mods, so there’s the chance that things will change after release. You know that at id Software we’re big into mods, so we know it’s important, we just haven’t figured out that roadmap yet. Tim Willits also talked about the Rage 2 gameplay, stressing how using vehicles will be a big part of the experience. There will also be incentives in jumping into as many vehicles as possible. So, um… not to give away too much, but yes, you will be incentivized to jump in vehicles. That’s one of the things that bothered me with [Mad Max]. I always wanted some reward for grabbing vehicles. Rage 2 promises to be much bigger than its predecessor, but also somewhat different. During QuakeCon, new footage has been shown, showcasing the game’s starting environment, which is far from the wasteland setting we have seen so far. 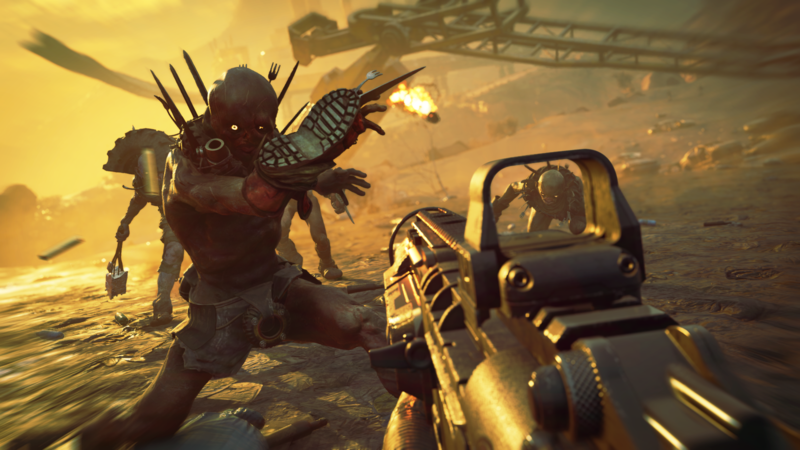 Rage 2 releases on PC, PlayStation 4 and Xbox One during Spring 2019.